You’ve probably heard a lot about a “trade war” between the U.S. and Canada for the past few months. You also might have heard about Canadian consumers wanting to boycott U.S. products – and seen guides on how to do so. From ketchup to cars, how to “buy Canadian” is a hot topic in the media these days. It’s a complicated state of affairs, but we’re here to shed some light on the subject. From the start of his presidency, Trump talked a lot about other countries “taking advantage of the U.S.” to lay the groundwork for his economic policies. Understandably, Canadians were wary of his rhetoric about our “unfair trade practices.” Some people even anticipated a trade war. Things really came to a head in May of this year, when the U.S. put tariffs on Canadian and aluminum steel imports, which was often described in the media as a turning point in U.S.-Canada relations. Justin Trudeau responded by putting tariffs on a host of American goods, including everything from food products to appliances to herbicides and more. By now, Canada and the U.S. have imposed over a billion dollars’ worth of tariffs on each other’s goods, raising prices, and ultimately passing on extra costs to consumers. This is basically what a trade war is. Whether you want to make a political statement or just want to avoid paying higher prices, as a Canadian you have the option to buy a wide range of Canadian-made goods. Here’s a short list of popular products that are affected by this trade war – and that you might want to buy from Canadian sources. It’s a popular condiment – and everyone’s talking about it. Remember, Heinz closed down its Canadian plant in 2014. If you want to buy Canadian ketchup, opt for the French’s brand instead. Unfortunately, the most popular brand of soy sauce, Kikkoman, comes from the U.S. and is subject to Canadian tariffs. Try the President’s Choice brand instead. Ditch the Florida OJ for Minute Maid orange juice. Even though it’s owned by Coca-Cola, Inc. it’s made in Peterborough, Ontario. American-made whisky is subject to tariffs, including the ever-popular Kentucky bourbons like Jim Beam. If you want a truly Canadian whisky, go for rye instead. Crown Royal is a perennial favourite, but spirits like J.P. Wiser’s Deluxe are a great bet as well. If you don’t absolutely need to have an iPhone, how about supporting Waterloo, Ontario’s very own Blackberry? The Key2 even has a physical keyboard! Have you gotten in on the mattress-in-a-box trend? If you want to revolutionize your sleep experience, try an Endy mattress. It’s a Toronto-based startup selling direct-to-order mattresses. The company manufactures all of its products in a Montreal factory. If you really want to see all the products affected by these Canadian tariffs, check out this long list of products subject to tariffs as a result of unjustified tariffs on Canadian steel and aluminum from the Federal Government website. Of course, even if a product isn’t affected by these tariffs, it’s always a great idea to support local businesses. 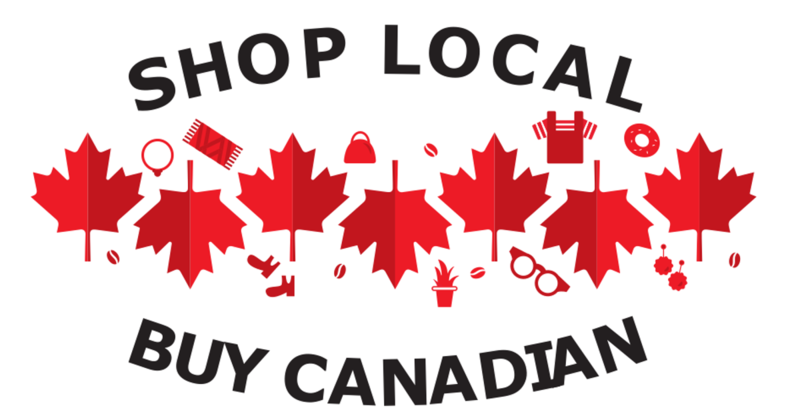 If you know you can get something that’s made in Canada, why not choose to buy Canadian? For example, if you happen to be looking for an engagement ring, you’ll be better served by a Canadian company that puts their knowledge, experience and reputation behind their product. At Randor, we can source any diamond that a U.S. company can from anywhere around the world. We buy diamonds directly from the world market. Also, buying Canadian diamonds is always great idea. Did you know that Canada is the 3rd largest diamond producer in the world? Canadian diamonds are conflict-free and mined according to strict environmental regulations. Canadian diamonds are the ethical choice for your jewellery. The Randor story started way back in 1988, when Randy Moss moved from Montreal to Toronto to start a business supplying gold and diamond jewellery to retailers in Southern Ontario and Quebec. With years of jeweller experience and a certification from the Gemological Institute of America, Randy steadily built the Randor brand by developing relationships with wholesalers. These connections made Randor into a name synonymous with value in the Canadian jewellery industry. As his trusted reputation grew, demand for Randor jewellery increased, and we started selling directly to the public in 1998. We’ve been serving the people of Toronto with our knowledge and skill ever since. Over the years, Randor has become a favourite among jewellery shoppers looking for the perfect diamonds at the right price. We’ve also become known for our unique custom engagement rings, and we couldn’t have gotten there without our amazing in-house team. This year, we’re thrilled to be able to celebrate our 30 years of success with you, our loyal customers. To this day we are always more than happy to share our knowledge and experience so that you can make the right decision about your jewellery. From the team at Randor, we’d like to thank each and every one of you for your support. We’re looking forward to continuing our story with you in the years to come. The holidays are a wonderful opportunity to relax and spend time with close friends and family. Good company is central to this time of the year, as well as food, tradition and gift giving. No matter the holiday you choose to celebrate, receiving a gift from a significant other in your life goes beyond a formality. It’s a way to show that you’ve been thinking of them, that you’ve put some thought and some time into them – beyond what you do every day. If you are pondering what to get your significant other, consider some of our fine jewelry pieces from Randor! There are plenty of ways to show your deep admiration for somebody but three circles of round cut diamonds with a diamond bale displays a whole other level of appreciation. This piece that comes in a bright 18kt White Gold that is sure to impress your significant other and complement their holiday attire. This ring is encrusted with black pavé diamonds giving it a very elegant and classic look. The beautifully cut band is made from a 14kt White Gold, featuring a design on the inner band that offers a contrast to the diamonds. With its unisex design, it’s the perfect gift-giving option. You could even get yourself one too, to match your significant other! This diamond bracelet is a simple yet gorgeous way to remind your significant other that they mean the world to you. Featuring bezel-set brilliant round cut diamonds, it’s a versatile choice because it allows you to choose your metal-type and your Kt. Gift this bracelet in a White or Yellow Gold in 14 or 18Kt. This is guaranteed to surprise them! If you’re in the area, come into Randor Jewelry to see a wider selection of diamond pendants, rings, bracelets and earrings and to speak to one of our jewelry experts. We will help you find the perfect piece to surprise your loved one this upcoming holiday season! We have previously written about the benefits of custom designed rings and the flexibility and choice that comes with creating a custom ring with Randor. This year, there have been some re-emerging trends in women’s ring designs that offer endless possibilities on how to use colour, cut and design. Here’s a brief overview on the elements that make up these three key trends! Rose Gold is being chosen now more than ever as the base metal for custom design rings. It’s loved for its romantic pink hues and soft glow as it adds a different dimension than white and yellow gold does. This addition of colour in contrast to the diamond helps to accentuate design features of the ring. No wonder it is becoming a more popular choice! Not only are we seeing more colour in metals like rose gold, we are now seeing it in diamonds as well. Have a favourite colour you want to work into your ring design? Coloured diamonds and contrasting metals are a trend we’re seeing more and more of in custom designs this year. Fancy colour diamonds are offered in a sparkling blue or a warm yellow hue and are being paired with an array of metals to create different textures, styles and looks. Vintage sensibilities are showing up in many custom designs this year. The halo for instance, while a relatively new design, reflects the cluster ring that was popular in the 1980s. A halo features a center stone – which can vary in size – with a circle of smaller diamonds around it, creating a ‘halo’ effect. The design allows you to include more than one halo in a ring, depending on your taste. This creates a dynamic and layered effect to offers options on how to balance the center stone. These three key trends are showing up everywhere in the custom design world. Like any of them in particular? We can work these ideas into your custom design easily to create a unique piece for your special day. Head on over to our education centre to read more about how to start planning your custom ring and book a consultation with us today!